An anomaly is a deviation from the common rule, type, arrangement, or form. In order words, something out of the ordinary. Three such unusual events happened last weekend. A Blue Paschal Full Moon occurred. The orb we saw last weekend was officially a Blue Paschal Full Moon. It was the second full moon of March and any time a two full Moon occur during month it’s called a Blue Moon. Saturday’s moon was the first full moon after the spring equinox making it a Paschal Full Moon. The date of the Paschal Full Moon is determined from historical tables that go back to the Council of Nicea in 325 AD when astronomers established an Ecclesiastical Full Moon table to determine Holy Days for Western Christianity. According to that table, our weekend moon was an ecclesiastical full moon. That’s a full moon that occurs on the 14th day of the ecclesiastical lunar month. A moon can be any one of these moon types, but a Blue Paschal (ecclesiastical) Full Moon doesn’t happen often. The last time we experienced the phenomena was in 1999. 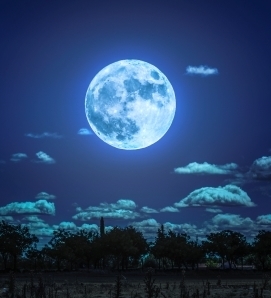 The next time we’ll see a Paschal Blue Moon will be in 2037. Interesting side note, Paschal is a Greek transliteration of the Aramaic word Pascha meaning Passover. And, this weekend both Passover and Easter coincided. 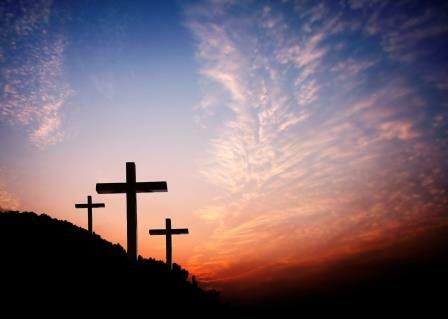 Good Friday and Passover fell on the same date. The exact date of Christ’s resurrection is unknown. 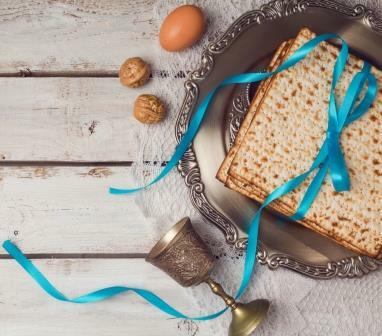 Early Christians in determining a date to celebrated correlated their Resurrection feast (Easter) with the Jewish Passover, which is based upon a lunar calendar. As a result, our celebration of Easter is a rotating Holy Day. Passover began on Friday night and will continue for eight. Easter and Passover are being celebrated at the same time. Another rare happening. The unusual timing of the weekend caused another two events to occur on the same day this last weekend. Easter and April Fools’ Day happened on the same day. The date of Easter is determined as the first Sunday after the “Paschal Full Moon” falling on or after the Spring Equinox (March 21). This year that Sunday was April 1. The date for April Fools’ Day is fixed. The annual tradition of playing practical jokes on April Fools’ Day began in 1700. The last time Easter Sunday fell on April 1 was in 1956. It’s been much longer since a Blue Paschal Moon rose on March 31, followed the next day by Easter Sunday. According to Space.com, we’d have to go back to the year 1646 to have a Blue Paschal Moon on Saturday, March 31 followed by Easter Sunday the very next day. There’s no prediction as to when such a unique event will happen again. This was indeed a weekend filled with anomalies. The amazing full moon was a reminder of the beauty of this world God gave to us. It seemed very fitting that it occurred at Easter.